Walking down the typical toothpaste aisle, you are bombarded with dozens of choices. There are products to serve just about any situation imaginable. You thought all you wanted to do is brush your teeth. With so many choices, how do you choose? Though there are many kinds of toothpastes, some even coming in gel or powder form, all toothpastes share some common characteristics. 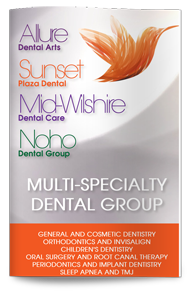 All toothpastes are designed to remove plaque and the harmful bacteria that cause tooth decay and gum disease. Most toothpastes also contain fluoride to help strengthen enamel. Beyond these similarities, though, toothpastes can contain a variety of different ingredients, depending on the purpose of that particular toothpaste. When picking out a toothpaste, the first order of business is to make sure whichever one you choose is safe. The easiest way to ensure the safety of any toothpaste is to look for the ADA seal of approval. This seal indicates that the American Dental Association has vouched for its safety and effectiveness. Short of this symbol, a toothpaste should always list the ingredient information. Be sure to choose one that contains fluoride, and avoid those that do not clearly list ingredients. There is a toothpaste for nearly every oral condition. There are toothpastes for sensitive teeth, gingivitis fighting toothpastes, whitening toothpastes that help remove surface stains, and many more. If you have a specific oral issue, look for a toothpaste that addresses your condition. If you are unsure, ask your dentist at your next dental cleaning.